On this, the very first episode, our guest is Sean Spicer. Sean has traveled tens of thousands of miles by heel, thumbs, wheels and wit. By the time he was 30 years old, he had hiked the length of South Korea, hitchhiked across America and somehow along the way managed to serve with the 101st Airborne Division and study philosophy at U.C. Berkeley. Driven by an intense need to redefine the impossible as well as himself, he now resides in his home state of California and is slowly teaching his son how to road trip. Ten years ago today he began a long walk which is chronicled in his new book, “Guerrilla Camping,” which is also being released today. 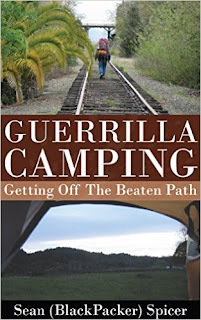 You can find out more at his website, guerrillacamping.net. You can find the book on Amazon at tinyurl.com/h58q9ko. 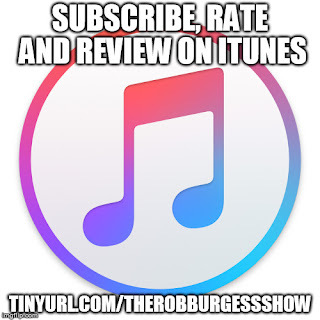 The official website for The Rob Burgess Show is www.therobburgessshow.com. Follow on Twitter at www.twitter.com/robburgessshow. Like the page on Facebook at www.facebook.com/therobburgessshow. Follow on SoundCloud at soundcloud.com/the-rob-burgess-show. The email for the show is: therobburgessshow@gmail.com. Our theme song, “Saturday Night Fever,” is by Flamingosis, who generously agreed to allow its use. Thank you, Famingosis. UPDATE: Sean wrote this about our debut episode. Thanks, Sean! You're always welcome back! Enjoyed your interview and will share with other travelers. Thank you. Thanks for taking the time to talk the walk with me man, it was a great time. Theme music: Flamingosis - "Saturday Night Fever"